Build your armies cheaper with this Crusader Miniatures unit deal. 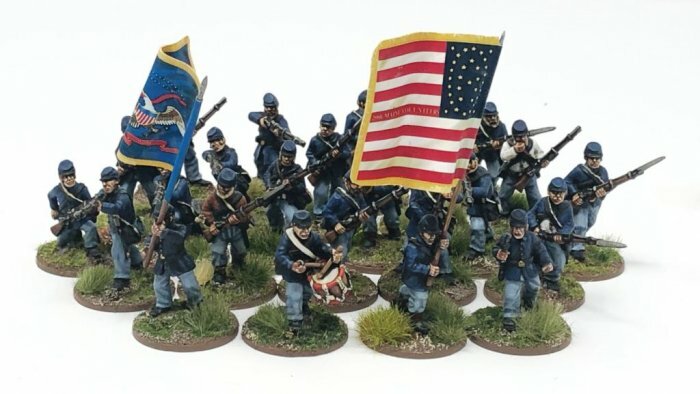 The ACW regiment deal gives you 24 metal unpainted figures made up of 20 troopers and 4 command figures. And you choose the figures you want! When you place the order, write in the note section what figures you want your regiment made up from. Advancing in Jackets and Kepis. Paper Flags and wire flag poles are included. Paper Flags made by Flags of War.